Front of the recipe card for Noodle Bake. 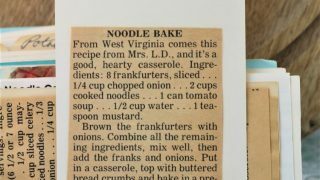 The publication notates that the recipe is from Mrs. L. D. from West Virginia. 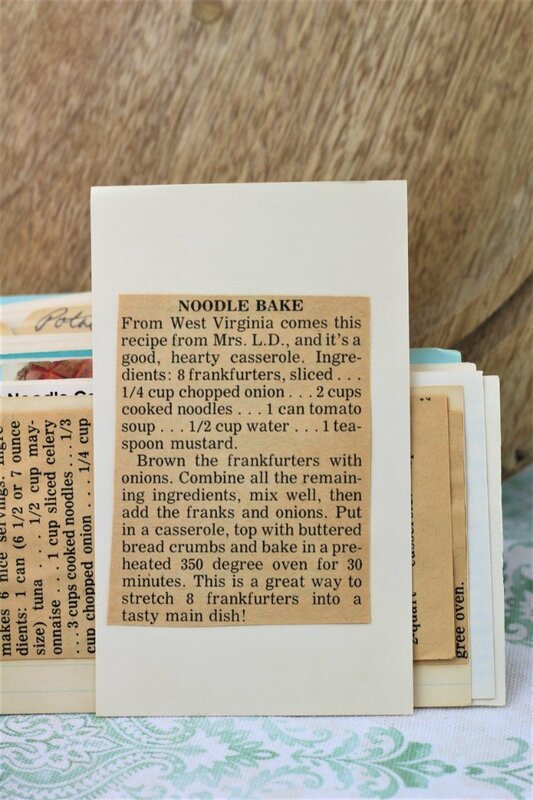 There are lots of fun recipes to read in the box this recipe for Noodle Bake was with. Use the links below to view other recipes similar to this Noodle Bake recipe. If you make this Noodle Bake recipe, please share your photos and comments below! Brown the frankfurters with onions. Combine all the remaining ingredients, mix well, then add the franks and onions. Put in a casserole, top with buttered bread crumbs and bake in a preheated 350 degree oven for 30 minutes.